Rules of Civility has been floating on the periphery of my reading list for a while now, over a year. I even checked it out from the library once and then returned it without ever reading it. I'm not sure why, perhaps the synopsis just didn't grab me or I wasn't in the mood for something heavy. And then I stumbled across it in audio version and thought I'd give it a go. It had me tearing up in the first 15 minutes and I quickly shut it off, not in the mood to be sad.But a few days later I decided to give it one more go, and never shut it off. 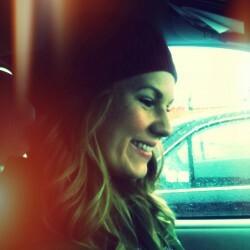 For about 11 straight hours I listened to the magical, yes magical, voice of Rebecca Lowman bring this story to life. In the same way that listening to [b:The Fault in Our Stars|11870085|The Fault in Our Stars|John Green|http://d202m5krfqbpi5.cloudfront.net/books/1360206420s/11870085.jpg|16827462] made that story unforgettable, listening to Rules of Civility is the only way to experience it. Rebecca's voice is so easy to listen to and she reads the parts perfectly, putting inflection exactly where it should be and never overdoing it. With a male author who so exquisitely portrays the thoughts of a 25-year-old woman in the 1930's, and a female narrator who does male voices in a believable and likeable way, Rules of Civility has become one of my favorite audiobooks of 2013 thus far.It's hard to really sum up what this story is about. It's mostly about Kathryn Kontent and the most pivotal year of her life, 1938, and the people that shaped and changed her future. It's about New York in the 1930's, a time and place I knew nothing about but now feel intimately acquainted with. It's not a romance, but it is a love story. A love story between friends, between a girl and Manhattan, between Kathryn and the men who taught her things about herself. 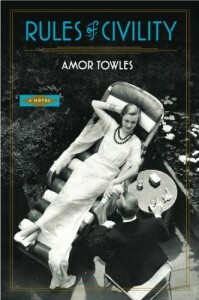 The imagery that Amor Towles invokes is simply breathtaking, and Kathryn Kontent is a character you will fall in love with.I tend to be a bit of an impatient reader and will skim if things get too wordy, which is why I'm so glad I listened to this story instead because not a word should be missed. They are the brushstrokes that combine to make such a beautiful whole, and by listening I was unable to do anything but savor each one. It wasn't suspenseful or overly exciting, and yet I found myself laying in my bed in the middle of the night, listening in the dark, because I just wanted to know what would happen next. I listened until 3 a.m. and ended with a smile on my face.